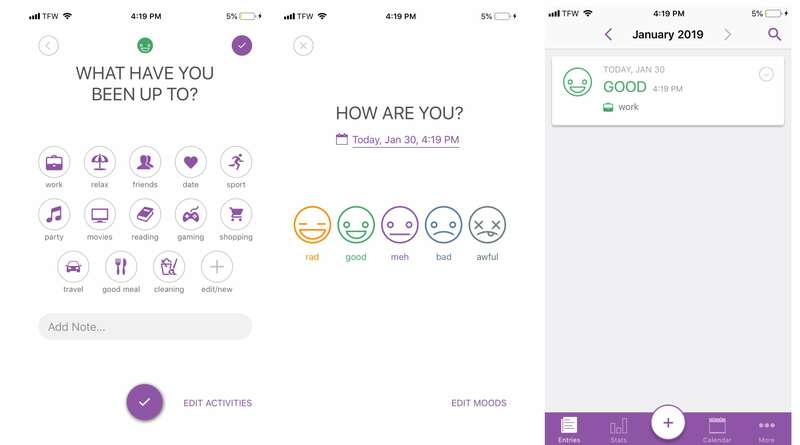 Top 10 Best Healthcare Apps of 2019 - Millennium Medical Solutions Inc. In honor of the end of football season, here is a a list of Top 10 Best Healthcare Apps of 2019. 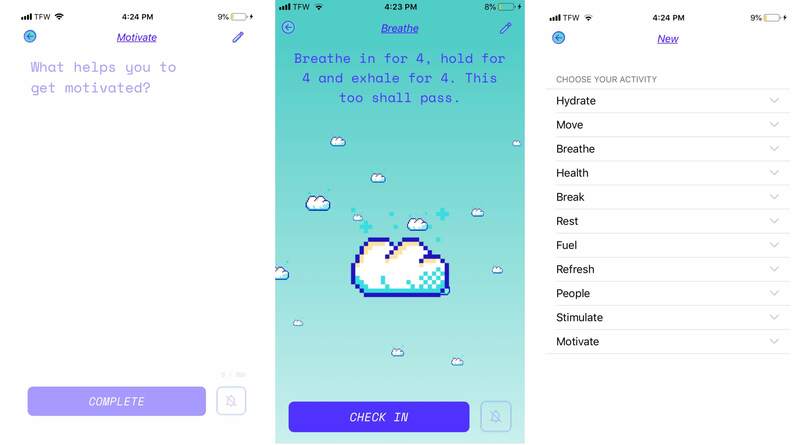 For those of you hitting the ground running on your New Years health resolutions will find these apps helpful ranging form habit trackers to meditation. Are you drinking enough water? What about getting enough sleep? The Strides Habit Tracker makes it easy to track those goals and habits you need to be your best self. After adding each of your individual goals and healthy habits, you’ll be able to see a daily checklist of tasks to keep you on target. Strides will also send notifications on your device to remind you of your goals. 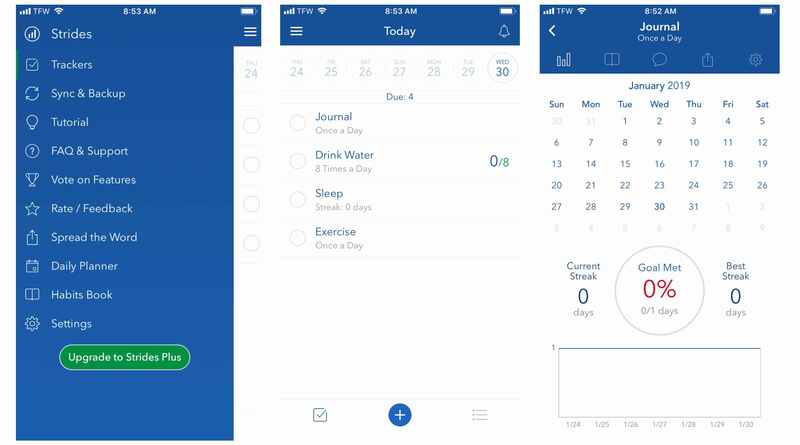 You can also see your daily and long-term progress using the in-app charts. Strides is currently available for free for all iOS and watchOS devices, but for unlimited trackers, web syncing, and data protection, there’s Strides Plus for $29.99 per year. Isn’t completely ad free without purchasing the pro version. 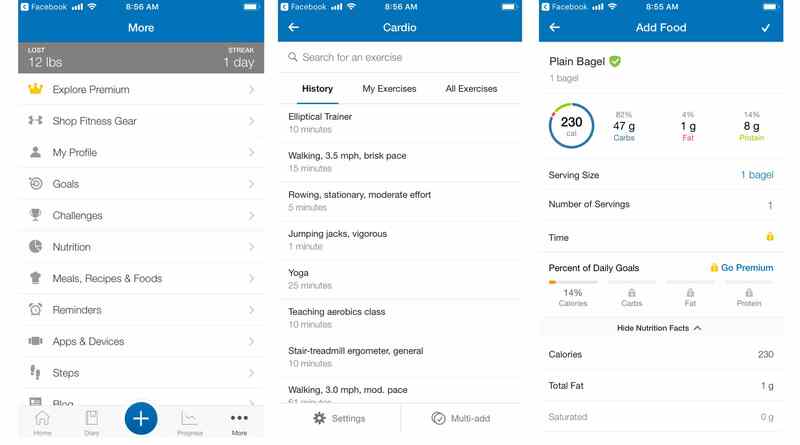 MyFitnessPal is available for both iOS and Android devices. It’s free to download and use, but to remove ads, you’ll need to upgrade to Premium for either $9.99 a month or $49.99 a year. Studies have shown that showing gratitude is a surefire way to improve your mental and emotional health. However, we’re often too busy to whip out a journal and pen. The Grateful gratitude journal is right on your phone, making it perfect for quick use. 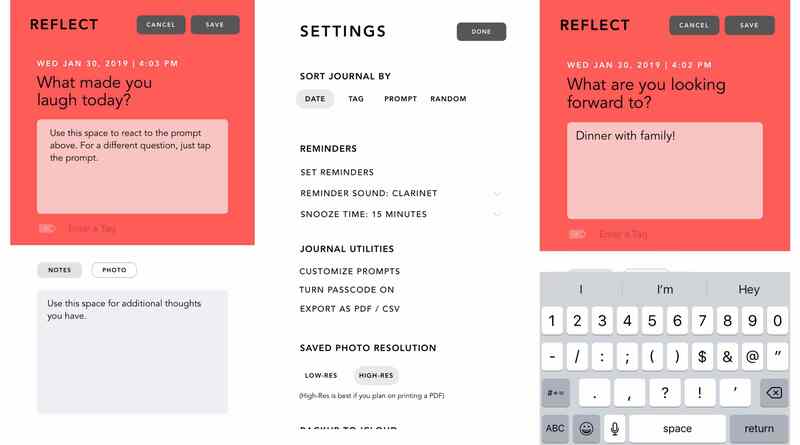 It offers daily prompts to help you record your thoughts and even allows you to take photos in the moment. Grateful: A Gratitude Journal is free to download for iOS devices, but, to unlock unlimited journal entries, you’ll need to purchase the premium version for $4.99. The guided meditations can’t be accessed without going through the Youper Assistant. Sometimes, you just need someone, or something, to talk to, right? 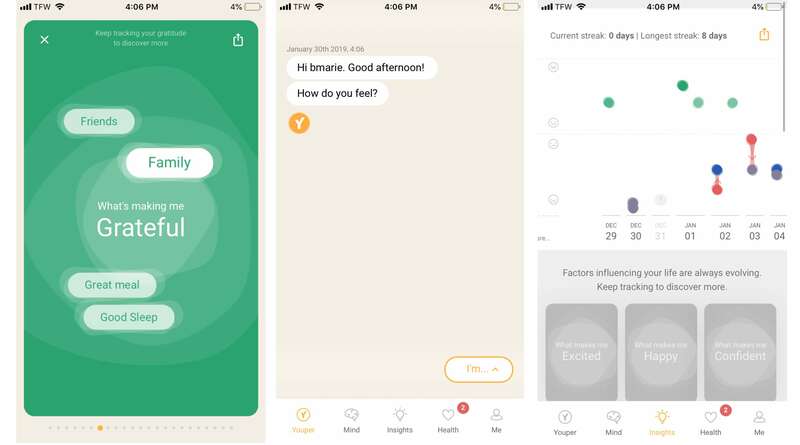 The Youper AI Assistant helps you understand and record your emotions through in-app conversations. As you converse with Youper, the app will learn more about you and what makes you tick. Over time, you’ll be able to see what makes you feel certain emotions to help you better manage your emotional health. To use the multiple journal feature, you’ll need to upgrade. Take a few moments each day to record what makes you happy, what inspires you or what lights your fire using the Day One Journal. It’s free to download for both iOS and Android devices, but to unlock features such as multiple journals, you’ll need to purchase the premium version for $24.99 a year. A critical part of self-care is ensuring you’re getting enough sleep. 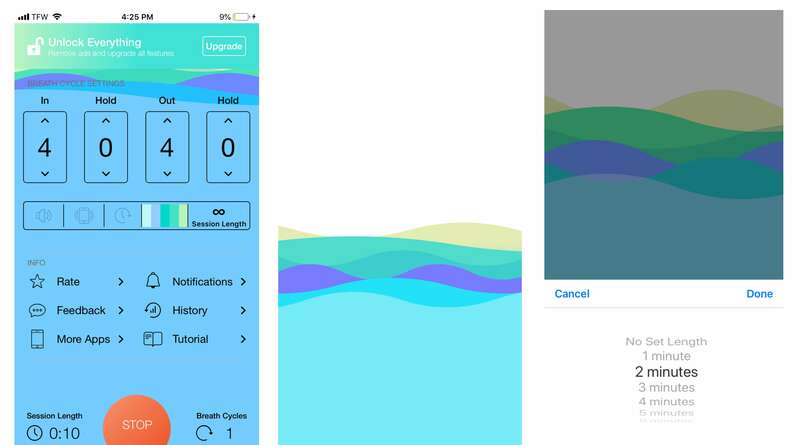 Pzizz helps you get the best sleep of your life thanks to in-app “dreamscapes,” or optimized mixes of music, voiceover, and sound effects. These dreamscapes change each night, helping to quiet your mind and wake up feeling refreshed. 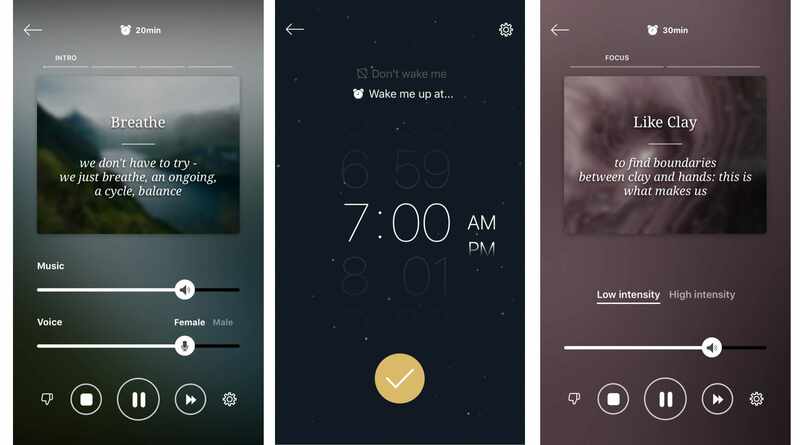 This app also allows you to take power naps using the dreamscapes or focus on work using “focuscapes.” Hailed as a winning app by The Duke of York and J.K. Rowling, it’s known for causing blissful sleep. How do you feel in this very moment? Those who are focused on self-care often take note of their mood using a mood tracker. The Daylio mood tracking journal allows you to track your mood and what you’ve been up to with cute icons. You can also write journal entries each day to go with your moods. 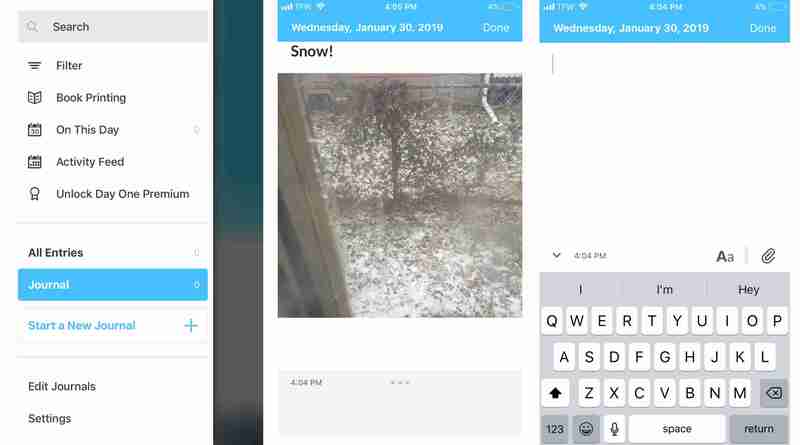 Daylio is free to download for both iOS and Android devices, but for unlimited moods, a pin lock, advanced stats, and more, you’ll need to purchase the premium version for $5.99. It’s not as user-friendly as the other apps in this list. To make sure you’re taking ample time out of your day for self-care, Aloe Bud allows you to track your self-care methods. From hydrating to breathing to being around those you love, Aloe Bud ensures you do what makes you happy each and every day. Plus, the icons are enough to make you smile. Aloe Bud is free to download for iOS. To download premium and custom reminders, you’ll need to purchase premium for $4.99. Everyone could use an ounce of extra motivation each day. The Motivation Quotes app delivers thousands of quotes from many different categories straight to your phone. 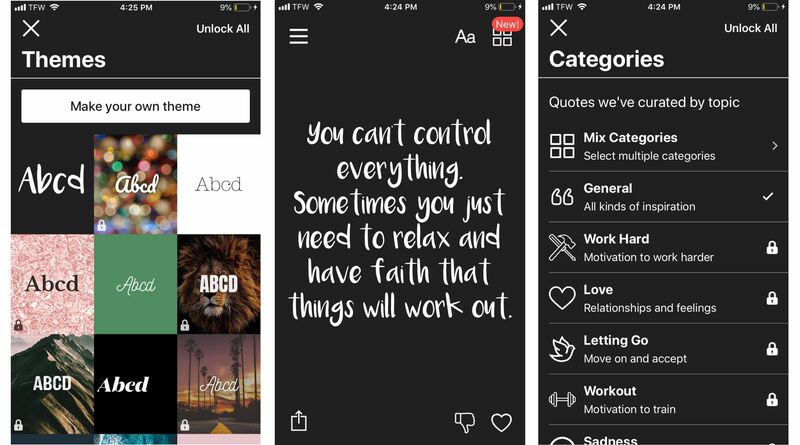 You can change your theme, save the quotes for later, search based on how you’re feeling, and more. Motivational Quotes is free to download for iOS and Android. However, to unlock all categories and complete access, you’ll need to purchase the premium version for either $35.99 annually or $59.99 for lifetime access. There are ads that pop-up randomly while you’re using the app.